© 1998-2019, Kevin J. Black. 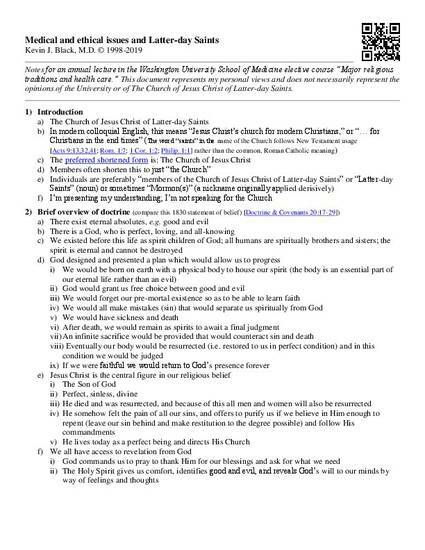 “Medical and ethical issues and Latter-day Saints” by Kevin J. Black, M.D. is licensed under a Creative Commons Attribution-NonCommercial-NoDerivs 3.0 Unported License. Permissions beyond the scope of this license may be available at kbmd@byu.net.